HAPPY BIRTHDAY, BECKY. Becky turns forty-something today. She's a lot of what keeps our family rolling. We'll find a way to honor her. 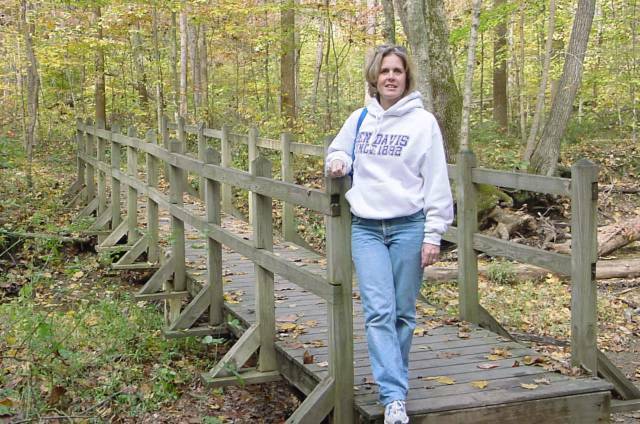 Here's Becky at a footbridge on a trail deep in the forest at Brown County State Park in October.